Davos, Switzerland – The World Economic Forum launched the IT Industry Skills Initiative to meet the global skills gap challenge and address job displacement arising from automation and the Fourth Industrial Revolution. The initiative is committed to reaching 1 million people with resources and training opportunities on the SkillSET portal by January 2021. Bob Moritz, Global Chairman, PwC International, PwC: "All over the world, people are asking themselves how they are going to prepare for their future, whether it's a new job, new responsibilities, or needed new skills. By working together across the public and private sectors, our hope is to enable new opportunities for people to carve their own paths, develop new skills, and future-proof themselves. By sharing our Skills Assessment, we believe more people around the world will be empowered to learn and grow professionally throughout their lives." To empower people to address fast-changing skill requirements, initiative partner companies are opening up key elements of their individual training libraries into one centralized portal. Users will have access, free of charge, to the most up-to-date, self-paced training materials from leading global IT companies, ranging from general business skills to introductory digital literacy to more advanced topics such as cybersecurity, big data or internet of things. 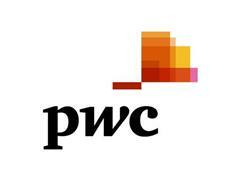 PwC's CEO survey found that over a quarter (28%) of CEOs are extremely concerned about digital skills availability within the country they are based, rising to 49% extremely concerned in South Africa, 51% in China and 59% in Brazil. Overall, 22% of CEOs are extremely concerned about the availability of key digital skills in the workforce, 27% in their industry and 23% at the leadership level.